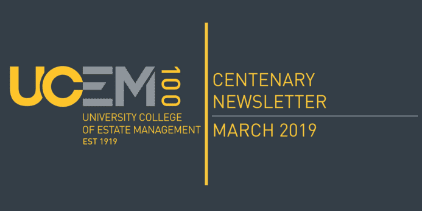 More than 100 guests came together for a celebration of achievements in the Built Environment at the 31st UCEM Property Awards earlier this month. 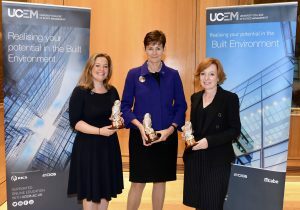 The Crown Estate Chief Executive, Alison Nimmo CBE – a UCEM alumna and Honorary Fellow – became the 31st recipient of the main Property Award, which recognises an organisation’s or individual’s outstanding contribution to the property sector. 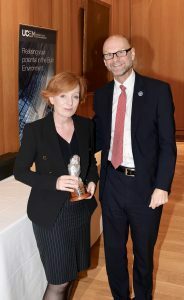 Alison was appointed Chief Executive by The Crown Estate in 2012 – becoming the first woman to take on the prestigious role – having spent five years with the Olympic Delivery Authority as Director of Design and Regeneration, where she was responsible for the design of the venues for the London 2012 Summer Olympics. Alison was awarded a CBE in 2004 and a decade later, she was awarded the prestigious Royal Town Planning Institute Gold Medal for recognition of her services to town planning and sustainability throughout her career. 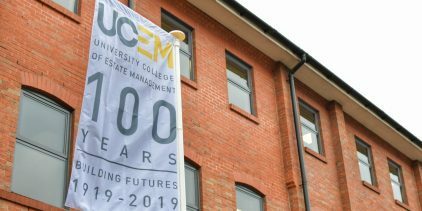 Commenting on her latest accolade, Alison said: “When I first studied at what was then The College of Estate Management, I would never have dreamed of standing up here with this prize. “I’m a proud alumna of UCEM and I wouldn’t be here now if it was wasn’t for the institution which gave me the opportunity to earn while I learned. I love cities, I love regeneration and I followed my heart. I have loved my career so far which has always been varied and interesting. 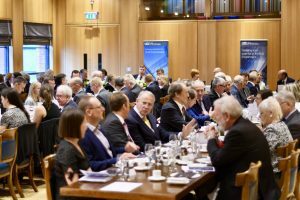 The ceremony on 11 October also revealed the fourth winners of the UCEM Academic Excellence and Alumni of the Year awards, which were first handed out in 2015. Jane Henshaw, the Head of Building Surveying at Cadogan Estate, took home the Academic Excellence trophy, which recognises the academic excellence and quality of our students’ research and dissertation submissions. Jane’s dissertation examined foresight techniques in urban planning at Cadogan Estate with the conclusion being that carefully considered architecture, place-making and reputation, and maintaining connections are vital for the surrounding area in Chelsea. 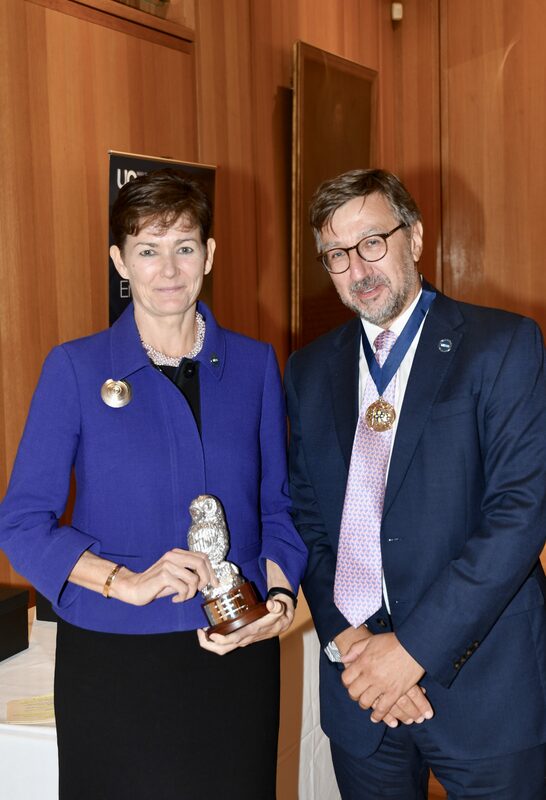 “Winning this award has given me a further wave of gratefulness for all the support I received from my family, friends, Cadogan and UCEM over a three-year period,” Jane said. Jane, who studied on UCEM’s MBA Construction and Real Estate programme, now plans to continue her research with the aim of publishing her findings in academic journals. CBRE Director, Nicola Dixon-Brown, won the Alumni of the Year award. Nicola has been heavily involved in RICS Matrics for the past decade, working to inspire the next generation of surveyors. She was awarded The Rebecca Hickman Award for her contributions and, in 2014, elected onto the RICS Matrics UK-board. 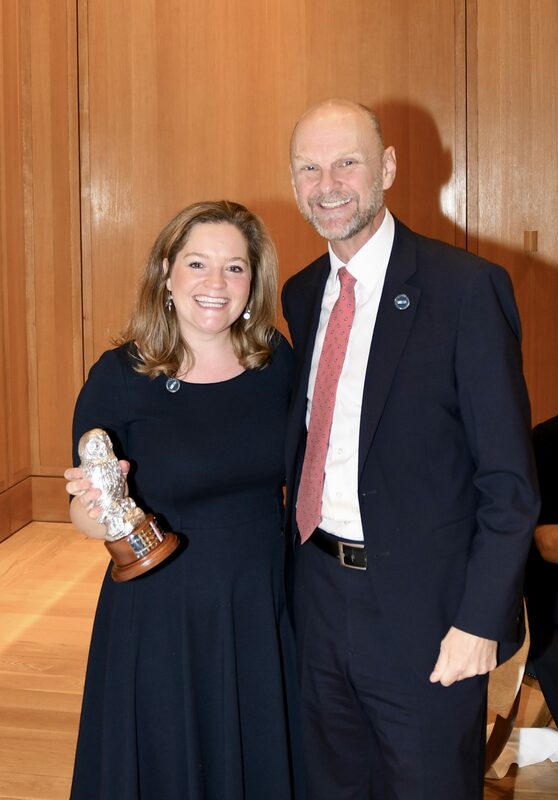 In 2017, Nicola won the Young Surveyor of the Year Award in the Asset & Facilities Management category, where she was described by the judges as ‘a determined person, who clearly cares for not just her own work but her team and her industry, a real inspiration’. Nicola, who obtained a Distinction on the MSc Surveying programme, and previously an Environmental master’s degree at St John’s College, Oxford, has pursued her passion for sustainability and recently oversaw a woodland biodiversity and conservation project, alongside waste reduction initiatives. She also sits on the RICS Editorial Board. 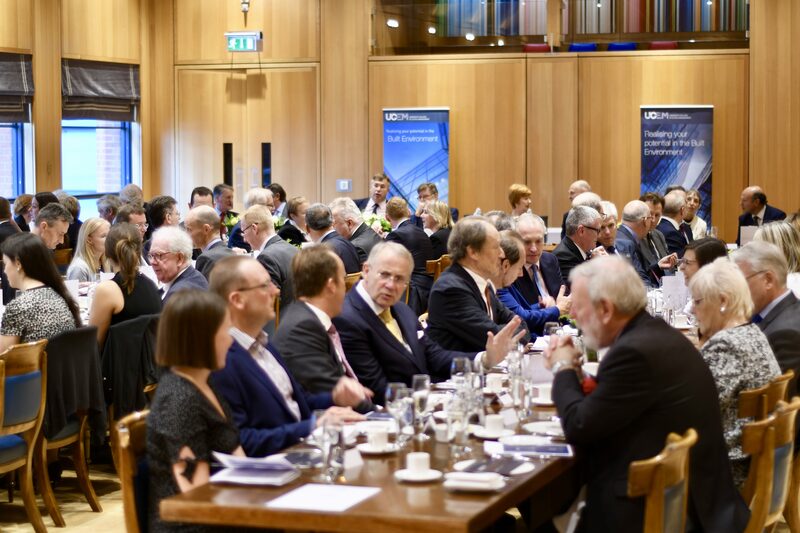 UCEM Chairman, John Gellatly, opened proceedings and reflected on the institution’s progress in realising its vision in becoming the leading vocational online university, lauding the successful regulatory appraisals from the likes of the Office for Students (OfS) and Ofsted. Principal, Ashley Wheaton, praised UCEM’s staff, inviting a round of applause for their efforts, and highlighted the Ofsted monitoring visit, the successful annual monitoring return to the Quality Assurance Agency for Higher Education (QAA) and the positive National Student Survey (NSS) result as three standout achievements of the past summer. 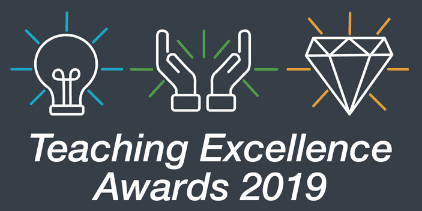 To learn more about the nominees for the Alumni of the Year award, click here and to read about our Academic Excellence nominees, click here.